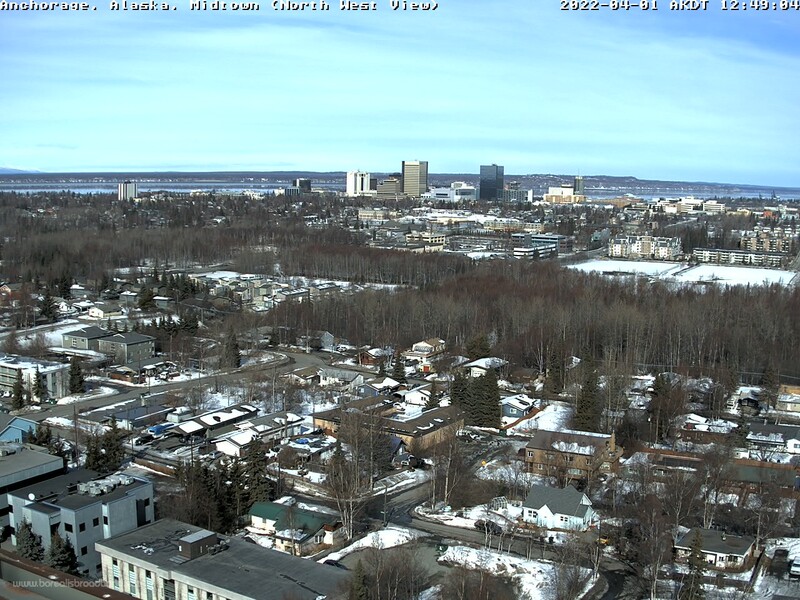 Downtown Anchorage - An excellent panorama view over the skyline of downtown Anchorage in northwesterly direction. Visible in the background are Cook Inlet and the Knick Arm - on clear days even Mount McKinley at a distance of almost 150 miles. Anchorage, Alaska: Midtown Anchorage, 0 mi. 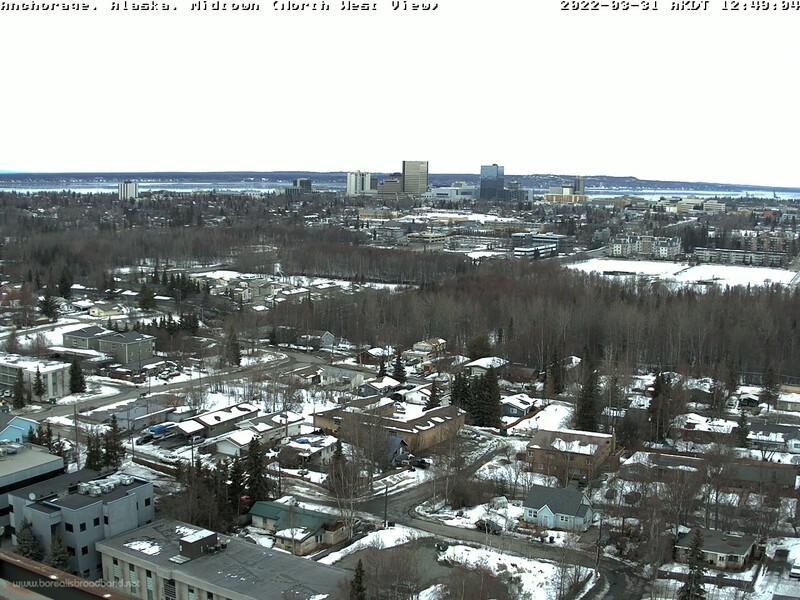 Anchorage, Alaska: Downtown East, 1.4 mi. 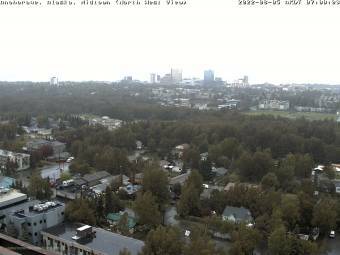 Anchorage, Alaska: Anchorage International Airport (PANC), View in Eastern Direction, 1.4 mi. Anchorage, Alaska: Anchorage International Airport (PANC), View in Southern Direction, 1.4 mi. Anchorage, Alaska: Anchorage International Airport (PANC), View in SouthWestern Direction, 1.4 mi. Anchorage, Alaska: Anchorage International Airport (PANC), View in NorthWestern Direction, 1.4 mi. Anchorage, Alaska: Cook Inlet, 8.1 mi. 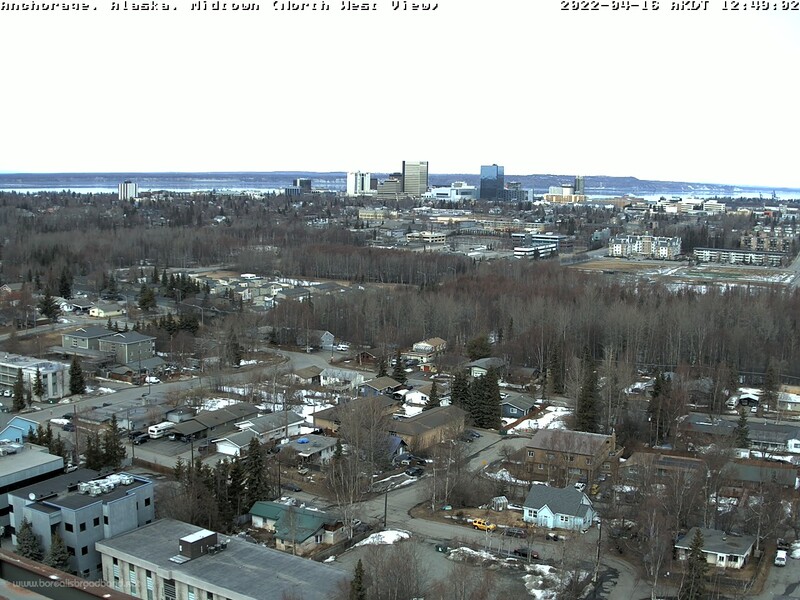 Anchorage, Alaska: Chugach Alaska Webcam, 8.1 mi. 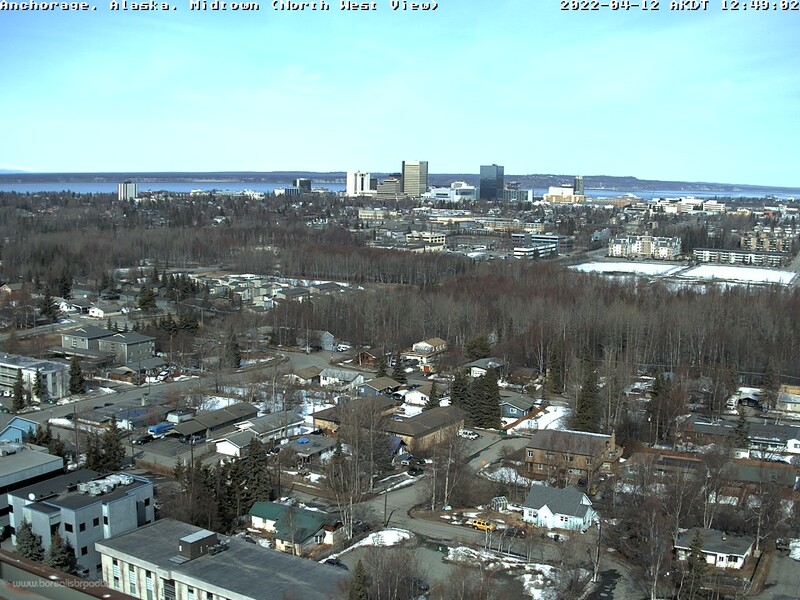 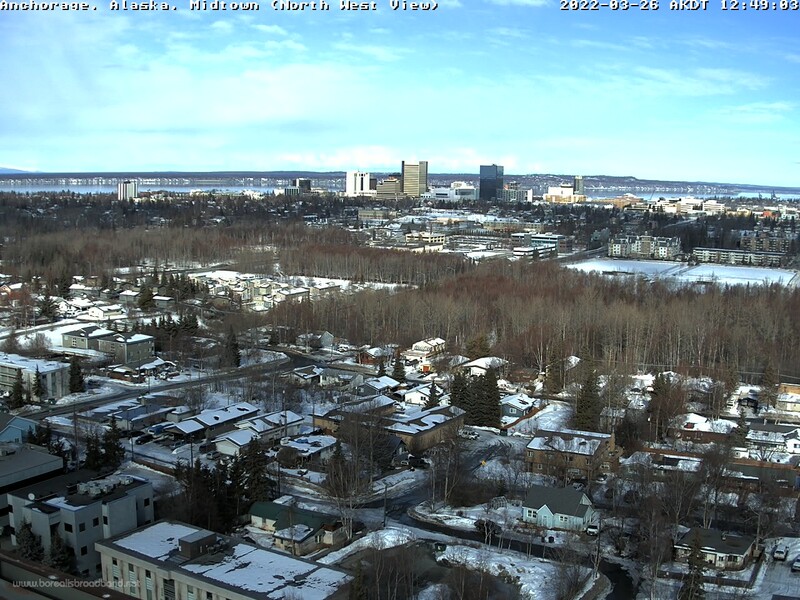 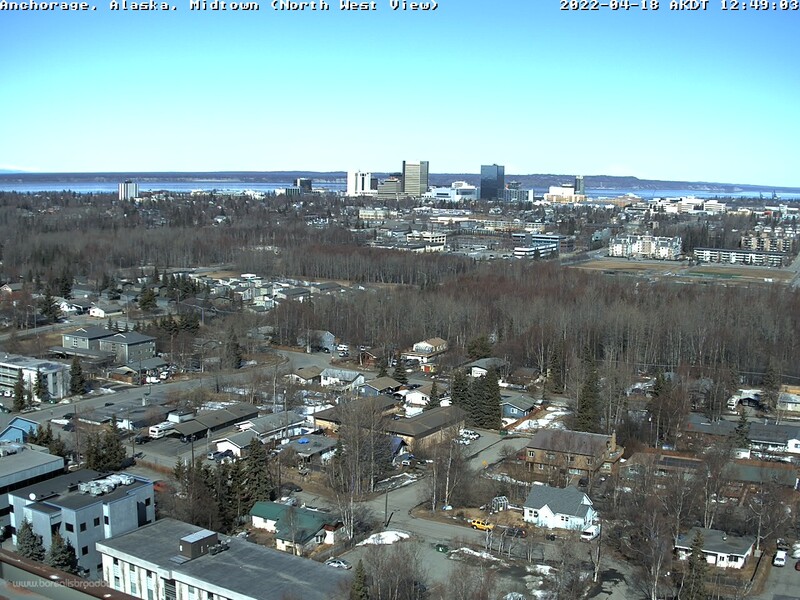 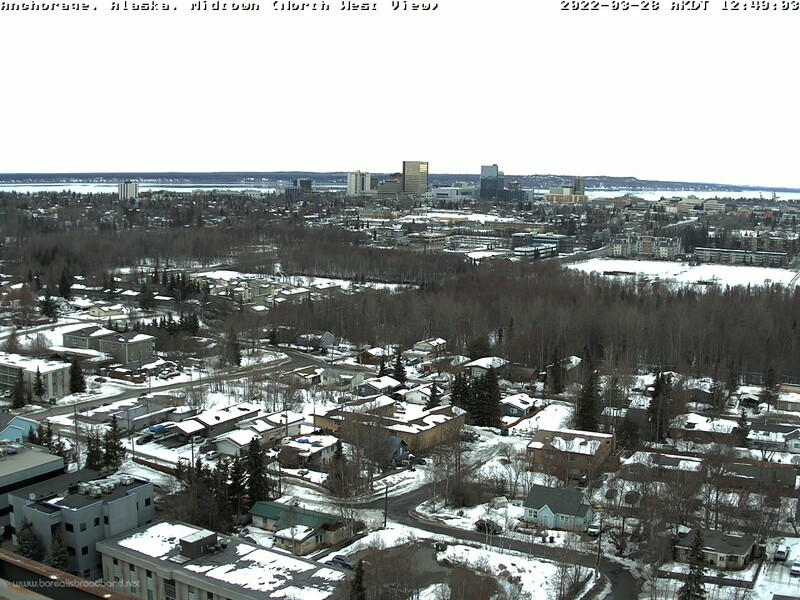 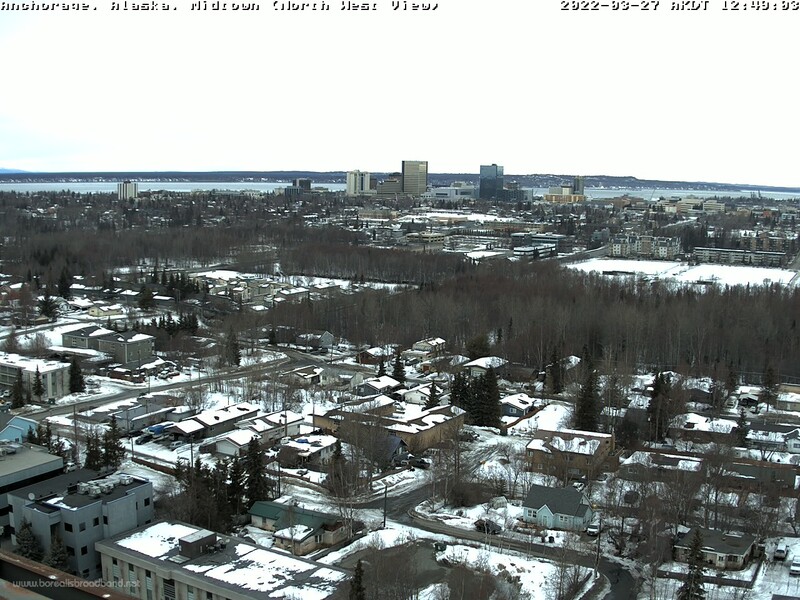 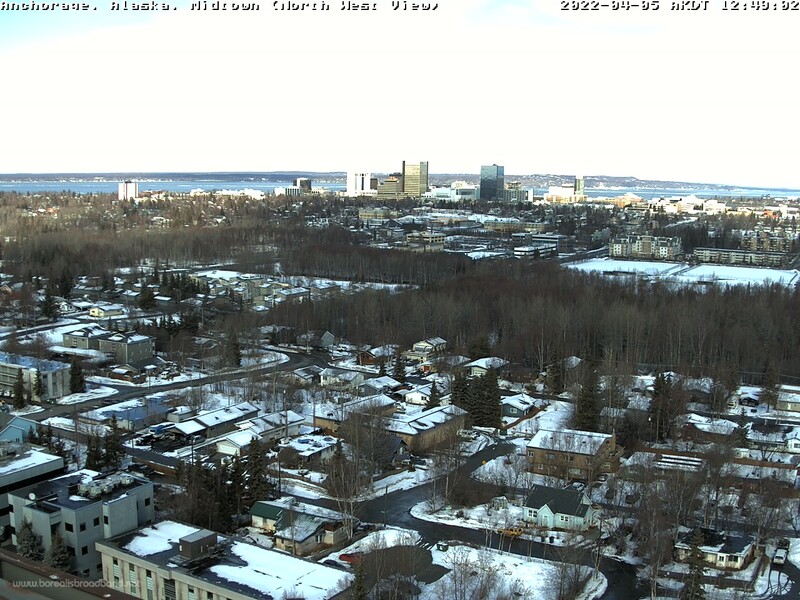 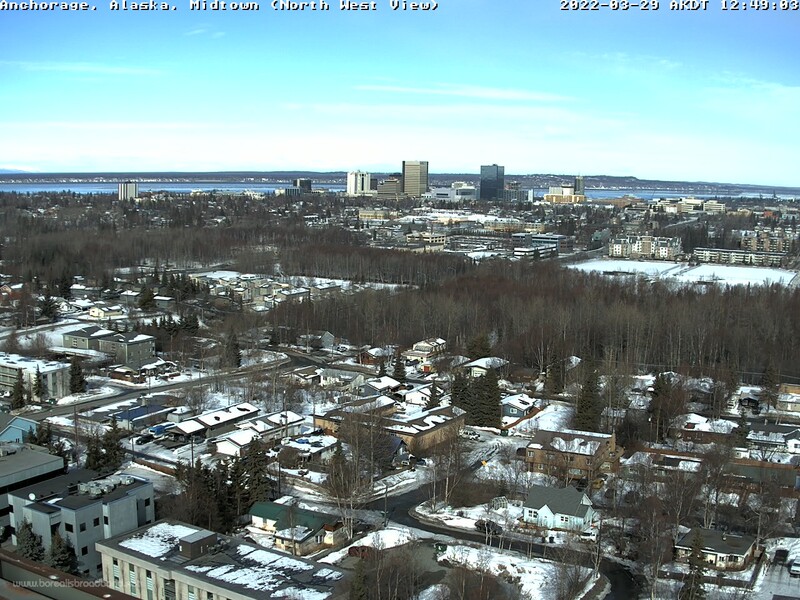 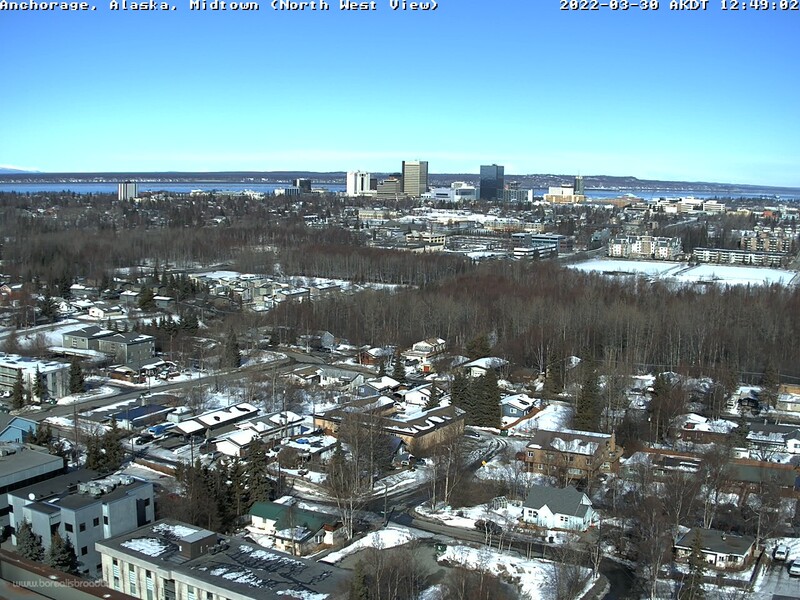 This webcam Anchorage, Alaska with the theme Skyline was added on February 20, 2007 and is operated by Borealis Broadband. It got 35553 visitors since then. Shouldn't this webcam work or should the link be wrong please report that here. You can add this webcam here to myCams.